Many youth first come to us needing clothes, a warm meal, or someone to talk to. Maybe they’ve been kicked out of their homes, are being sexually exploited, have a mental illness, or have been abandoned by parents or caregivers. Maybe they have substance use issues or are trying to care for small children of their own. Whatever brings them here, we never turn them away. 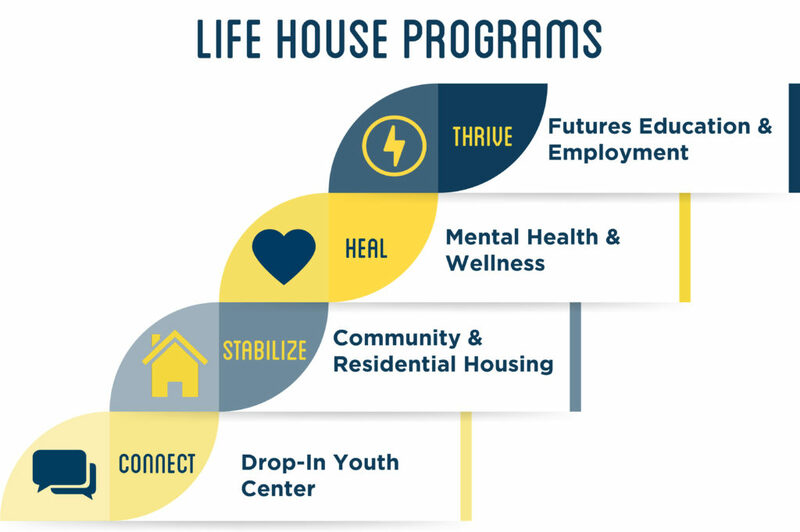 Life House has an intensive intake survey to help determine program placement – these programs are all a part of the comprehensive approach to providing services that we call the Life House Lifeline.